Great slideset from a presentation given by Stephen Downes at the Brandon Hall conference on "E-Learning 2.0 in Development". Well worth a look! A presentation by Jennifer Okimoto from IBM on how KM 1.0 has progressed into KM 2.0. I´ve got several requests on how to use the ALOA Web Services. 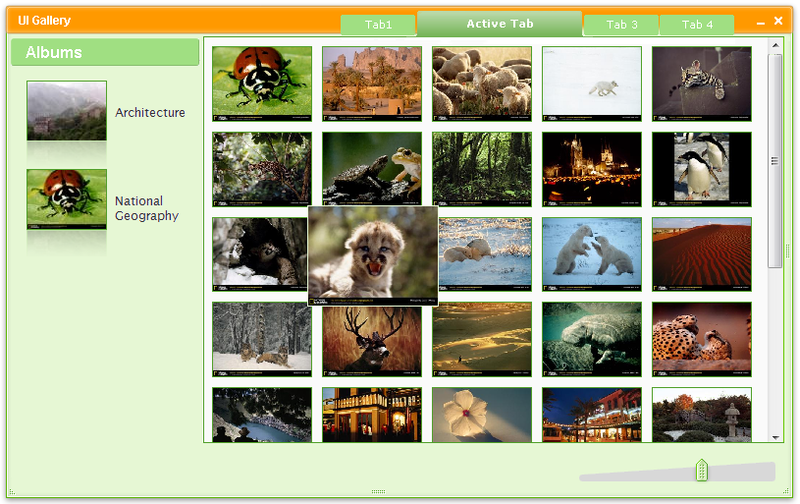 ALOA is the Web Services driven framework for IEEE LOM compliant automatic matadata generation. More information about this framework is availabe here. A detailed description of the ALOA Web Services can be found here. I´ve also written a simple class that uses the ALOA Web Services to generate the LOM summary metadata from Stephen Downes´famous article E-Learning 2.0 in 3 different languages; French, German, and English. You can see the result below or test it yourself at the ALOA project homepage. 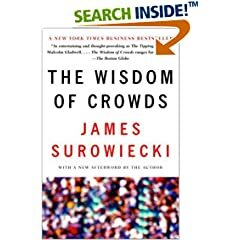 I finished reading “The Wisdom of Crowds” by James Surowiecki. It’s well worth a reading especially the first part which begins with the wisdom of crowds, explores the conditions (i.e. diversity of opinion, independence, decentralization, and aggregation) that characterize wise crowds, then deals with coordination and cooperation problems. The second part consists of diverse case studies and many real life examples from market and political activities that illustrate the idea behind the wisdom of crowds. The main argument that Surowiecki shares throughout his book is that the many are smarter than the few. Surowiecki writes “group’s decisions will, over time, be intellectually superior to the isolated individual, no matter how smart or well-informed he is...under the right circumstances, groups are remarkably intelligent, and are often smarter than the smartest people in them. Groups do not need to be dominated by exceptionally intelligent people in order to be smart. Even if most of the people within a group are not especially well-informed or rational, it can still reach a collectively wise decision”. Diversity of opinion (each person should have some private information, even if it’s just an eccentric interpretation of the known facts). Independence (people’s opinions are not determined by the opinions of those around them). Decentralization (people are able to specialize and draw on local knowledge). Aggregation (some mechanisms exits for turning private judgments into a collective decision). Surowiecki argues that diversity and independence are important because “the best collective decisions are the product of disagreement and contest, not consensus or compromise”. According to the author, diversity adds different perspectives to the group and if people in the group are independent of each other, the group is far more likely to come up with a good decision. Surowiecki also argues that centralization is not the solution. But decentralization followed by aggregation is. As he puts it, “a decentralized system can only produce genuinely intelligent results if there’s a means of aggregating the information of everyone in the system. Without such a means, there’s no reason to think that decentralization will produce a smart result”. After the exploration of the four conditions characterizing wise crowds, Surowiecki points to coordination and cooperation problems that arise from decentralization and stresses the need for mechanisms to solve these problems in a bottom-up manner. It’s a nice book that I would recommend to everyone interested in network learning. More about this book can be found here. Today Google announced that presentation sharing and collaboration capabilities is finally available in Google Docs (Google Docs & Spreadsheets is now renamed to just Google Docs). On the official Google blog, Attila Bodis writes "The new presentations feature of Google Docs helps you to easily organize, share, present, and collaborate on presentations, using only a web browser". Presentations is now also part of Google Apps. In June Google already announced the plan for adding presentations to the Google Docs family after the acquisition of Zenter in June and before Tonic Systems in April. The Google Apps suite is now complete! Here´s a video on the new feature in Google Docs. Second part of a slide show by Trebor Scholz on the historical development of the social web (Part 2: 2000-now). A nice guide that provides several good Ajax resources and tutorials on the Web. Well worth a look! Jane Hart has published a list of Top 100 tools for learning based on 109 people responses, who were asked to name their favourite tools for learning. The results can be viewed here. Jane has also provided a pdf that lists the tools by popularity and by category and contains additional information such as cost and availability of the tools. To note that in 6 out of 14 tool categories, Google tools were the highest ranked tools in the category. 2 weeks ago, Google also announced that GWT 1.4 (my favourite Ajax toolkit) is released and is no longer in beta. RichTextArea, HorizontalSplitPanel and VerticalSplitPanel, SuggestBox, DisclosurePanel, PushButton, ToggleButton, and an enhanced Image widget make advanced applications easier than ever. ImageBundle automatically consolidates multiple images into a single HTTP request. NumberFormat and DateTimeFormat make easy work of complex internationalization and localization. You can finally use java.lang.Serializable with GWT RPC, and the GWT RPC server-side subsystem is no longer intimately tied to servlets. You can easily wire it into any Java back-end infrastructure. Spring fans, rejoice. A new JUnit-based benchmarking subsystem makes measuring and comparing the speed of code snippets as easy as writing unit tests. Adding GWT modules to an HTML page is now simple: just add a tag. You can now include GWT modules across domains. Note that including scripts from other sites that you don't fully trust is a big security risk. Auto-generated RPC whitelist files are now produced during compilation to help catch accidentally responding with objects that compiled GWT client code wouldn't be able to deserialize. The GWT distribution now includes a DTD for the GWT module XML format, making it easier to configure modules in an DTD-aware XML editor. A list of sample applications using GWT can be found here. The jQuery team announced the release of their Ajax toolkit in its version 1.2 with a series of new interesting features. Here is an example of how the result could look like. An interesting slide show by Trebor Scholz on the historical development of the social web (Part 1: 1945-2001). In an earlier post, I pointed out that we need a fundamental shift toward a more social, personalized, open, dynamic, emergent, and knowledge-pull model for learning, as opposed to the one-size-fits-all, centralized, static, top-down, and knowledge-push models of traditional learning models. In this post, I would like to suggest a new learning model that I would name the “3P Learning Model”. 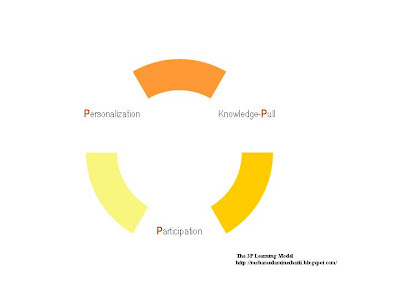 This model can be broken down into three key elements: (a) participation, (b) personalization, and (c) knowledge-pull. Participation: At the core of the 3P learning model is the network metaphor of learning representing a view according to which learning is mainly the networking of explicit/tacit knowledge nodes (more about these thoughts in this post). Recognizing that learning is a social activity, building and maintaining ecologies that adopt a participatory culture and support collaborative knowledge creation and sharing become crucial. Personalization: The 3P learning model starts with the individual. It’s a learner-centric model that puts the learner at the centre and gives her the control over the learning process. As I pointed out in an earlier post, there is no divergence between personalization and participation (the individual and the collective). Personalization and participation cannot be considered in isolation. They complement and enhance each other. They interplay with each other, but cannot replace each other. They form a unity in their duality. We cannot have the collective if we do not assume the individual as a point of departure. And, we cannot have the individual if we ignore the collective since learning and knowledge are social in nature. Knowledge-Pull: The 3P learning model adopts a knowledge-pull strategy based on small pieces, loosely joined. The main obstacle of the knowledge-pull strategy lies in the information overflow on the Web. Therefore, we need federated, intelligent, and social search engines that build on the wisdom of crowds (recommendations, reviews, feedback, filtering, rating, voting) to locate quality resources, services, communities, and knowledge mediators. I’m currently working on a Social Media Supported Learning Framework (SMSL Framework) that employs the 3P learning model described above. Your valuable comments, ideas, suggestions are welcome. Explicit knowledge nodes are different explicit knowledge assets available in a variety of forms such as texts, images, sounds, videos and captured in distributed information repositories such as blogs, wikis, pod/vodcasts etc. Tacit knowledge nodes are diverse social networks and communities. There are different types of frequently overlapping, formal and informal communities including learning communities, communities of practice, and communities of interest. In my opinion, learning is the networking of explicit/tacit knowledge nodes. What we are trying to do all the time is either to pull together explicit knowledge from more than one source, reflect, detect patterns, remix and assemble it to form a new explicit knowledge asset or to expand our personal social networks by connecting to different communities to create and share tacit knowledge in a collaborative way, through participation, dialogue, discussion, observation, and imitation. A series of videos prepared by Lee and Sashi LeFever to explain some social software technologies in a simple way.